It’s been a long, long time since I’ve updated my blog – and there’s been so much that’s happened over the past year! 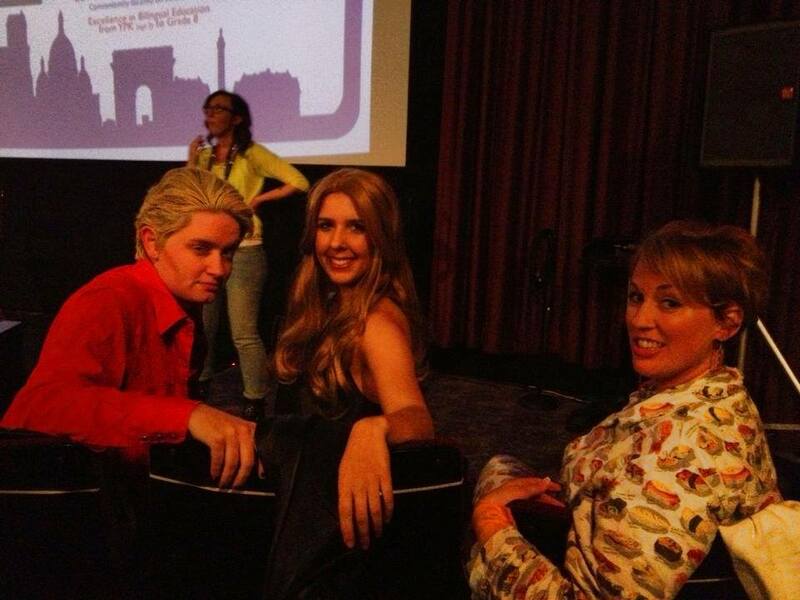 Wonder Women! The Untold Story of American Superheroines – which drew research from Ink-Stained Amazons and Cinematic Warriors (and in which I appear!) – screened on PBS Independent Lens. 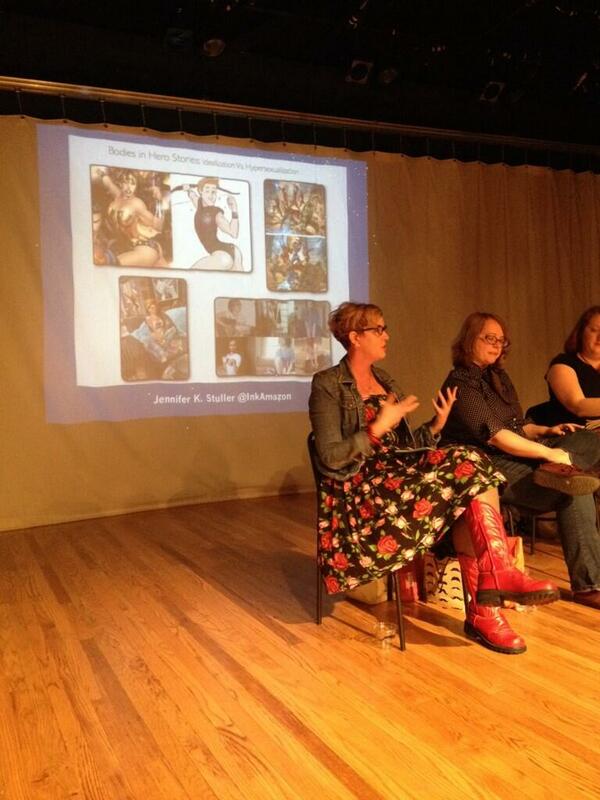 I’ve been speaking about Ink-Stained Amazons, Cinematic Warriors, and Superwomen in Modern Mythology through Humanities Washington at libraries, wineries, and schools across the state – and am bookable for 2014! 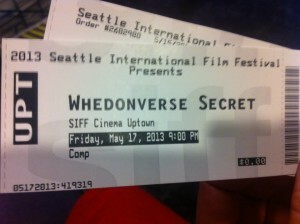 I had a blast working in Festival Publications for SIFF 2013 – and loved being a minion for a very special secret Whedonverse screening during the Festival, as well as participating in the forum Sheroes in the Media: From Guerrilla Girls to Women in Film. 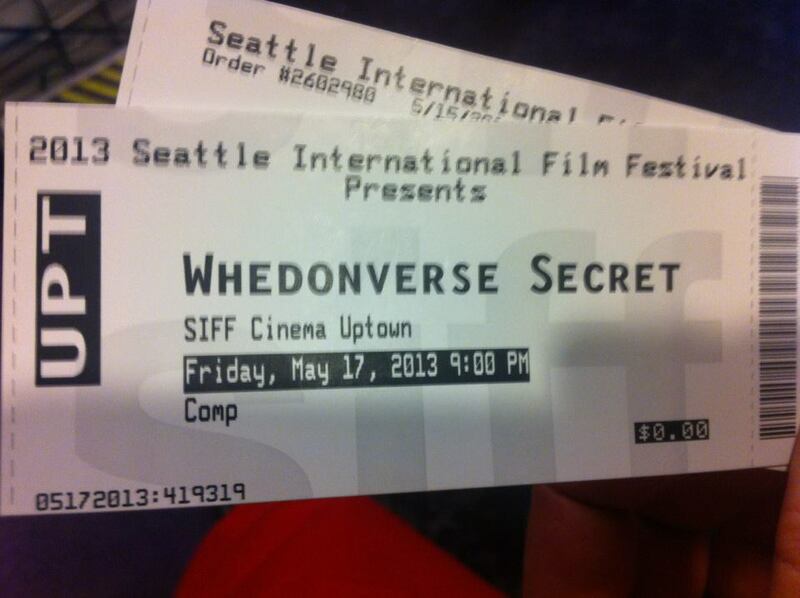 First rule of Secret Screening: We don't talk about secret screenings, only about how they make us feel. 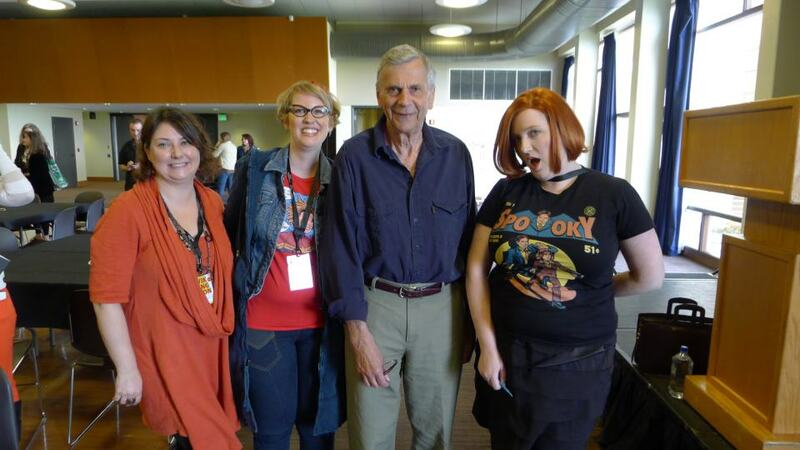 Dr. Amy Peloff, Jo Jo Stiletto, and I talked about Geek Feminism at Western Washington’s VikingCon – and we got to meet the Cigarette Smoking Man. 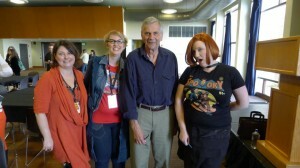 With William B. Davis - aka "The Cigarette Smoking Man"
I contributed a chapter on Lost Girl called, “Choosing Her ‘Fae’te: Subversive Sexuality and Lost Girl’s Re/evolutionary Female Hero” for the forthcoming anthology, Heroines of Film and Television (Edited by Norma Jones; Maja Bajac-Carter and Bob Batchelor). 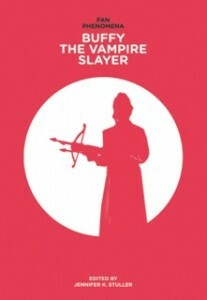 The anthology I edited and contributed to, Fan Phenomena: Buffy the Vampire Slayer (Intellect) was published. 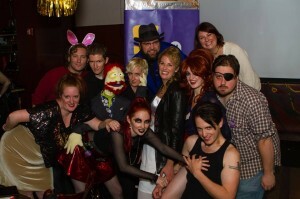 And was celebrated with an epic launch party! With the help of my friends, there was a Handsy Puppet Joss Whedon, a Naughty Fan Fic Reading, Trivia, Rupert Giles singing “Behind Blue Eyes”, an Author Signing, Band Candy, and Snoopy Dancing. Drink Specials included “The Class Protector” and “Boinking the Undead.” We had music, limited edition GeekGirlCon buttons, squee-tastic photo ops, costumes, Scoobies and Slayerettes galore!!! Grr. Argh! More Photos of A Night at The Bronze Here. 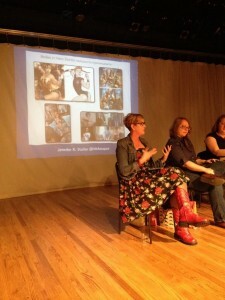 I got to talk about comics and gender with some of my favorite people at a Velocity Dance Center Speakeasy Conversation – BOOM! POW! COMICS, GENDER + MOVEMENT. 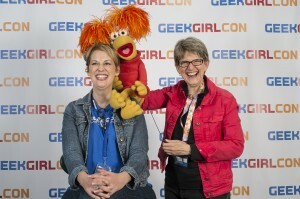 And of course, GeekGirlCon had its third annual convention! 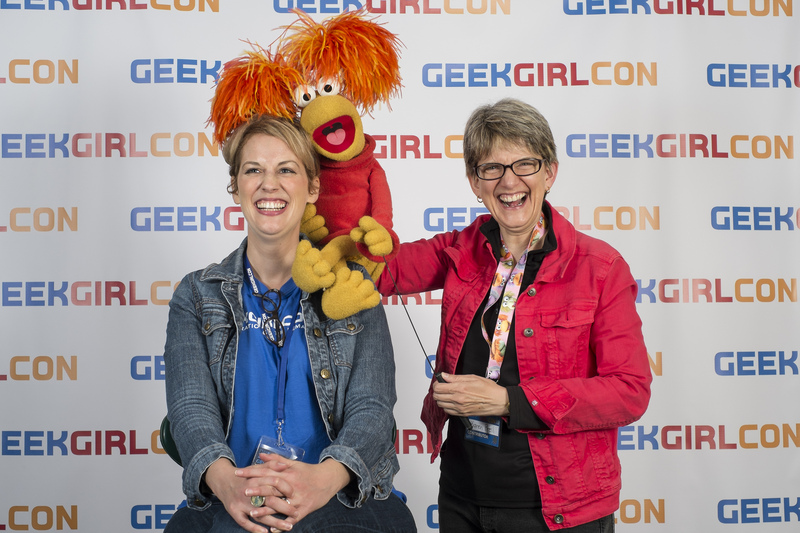 We had between 4300 and 4700 attendees – and sold out of passes before we even opened our doors on Saturday. Huzzah! Plus, I got to make moments like this happen. And this – Where I experience Pure Joy. 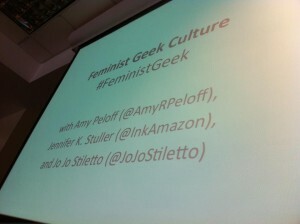 Most recently, Dr. Amy Peloff, Jo Jo Stiletto, and I took our Geek Feminism presentations to the National Women Studies Association Conference in Cincinnati. 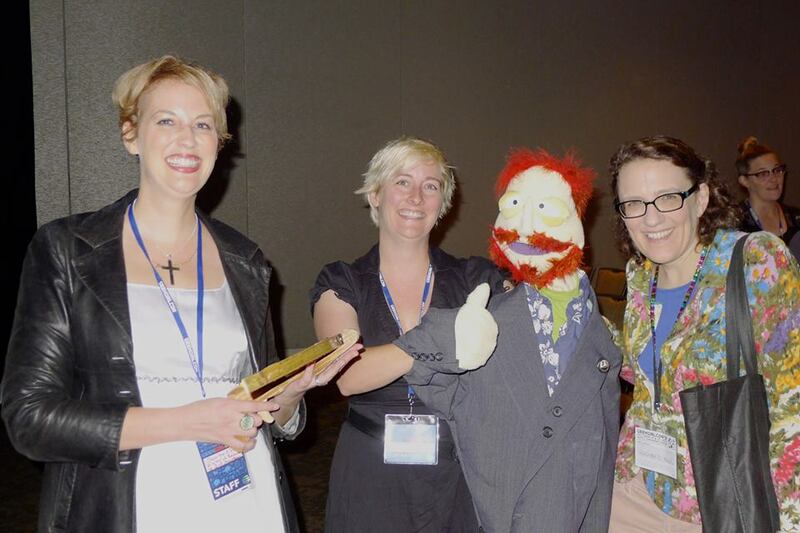 We were thrilled to have an enthusiastic and engaged audience – especially as we were scheduled at the very end of the conference!